Lead is the most recycled and recovered building material in use today. It will last longer and age more beautifully than any of its synthetically produced substitutes. Its resistance to corrosion by the atmosphere means that Lead Sheet will outlast any alternative building materials making it best value, both in monetary and environmental terms. Lead is used in flashings, chimney back gutters and box gutters. 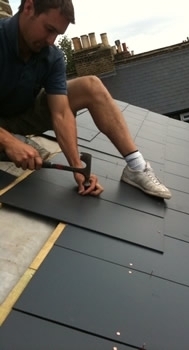 If you need a replacement or new roof for a new build we are highly skilled and able to achieve the look you desire. There are many different tile types you can choose from and we are more than happy to advise and help with any queries you may have. 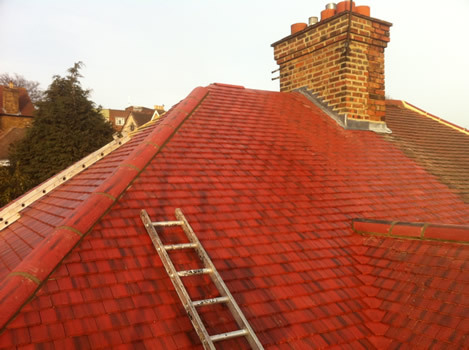 Removing, Capping, re-building and re-pointing.We cover any chimney services from removal to capping and re-pointing. 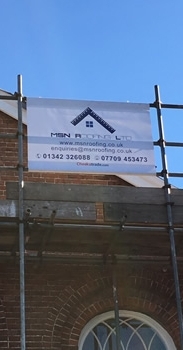 Repairs/replacements in uPVC or cast iron – We can supply and fit all types of guttering & carry out full replacement or just repairs to sections. 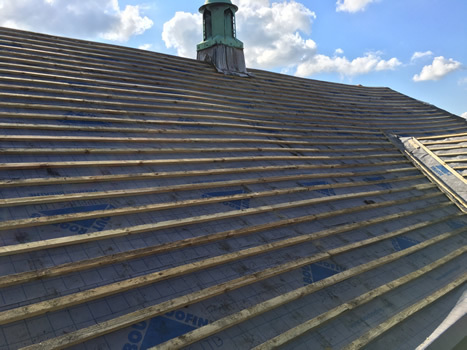 3 layer torch on system- We cover all aspects of flat roofing including as needed new joists, base/decking re-boarding and a three coat felt system. 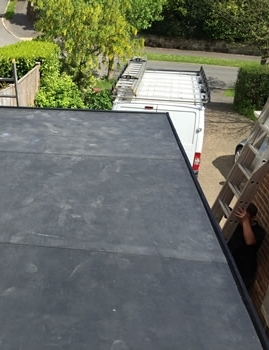 EPDM rubber roofing system repels all moisture and does not suffer with age from cracking or crazing making it perfect for all roofs – replacing existing roofs or for use with extensions and new builds. A parapet wall is a low wall, usually enclosing a roof. We are able to render or re-point the wall if there is a leak coming through. Pointing is the mortar infill between the masonry. It is the primary weather proofing of the façade, and is very important to the structural integrity of the building. 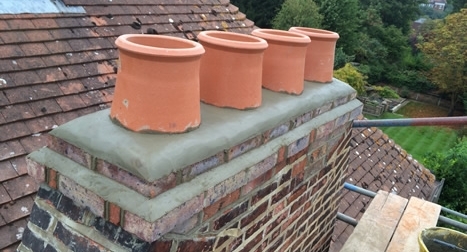 We can undertake partial or total repointing. 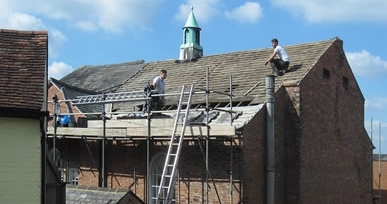 Whether you require an old skylight to be replaced, or a new skylight fitted, we are able to do this for you. We can also completely remove existing skylights and make the roof good again. 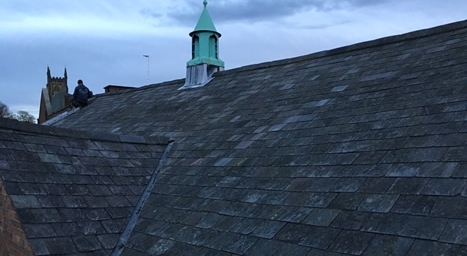 Broken tiles and slates are one of the most common issues with roofing. We are easily able to replace these for you. We are able to replace any existing lead or zinc valleys that you may have. 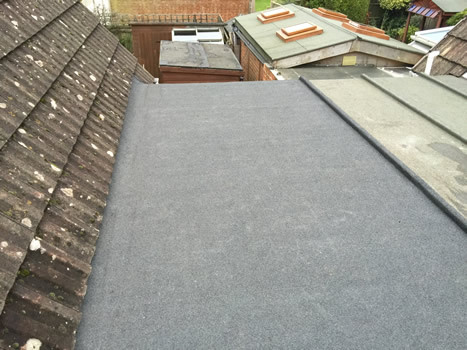 The fascia board is the long, straight board that runs along the lower edge of the roof. The soffit board is tucked away under the fascia board. We are able to repair or replace the facias and soffits.